The short put option strategy is a bullish, neutral, and minimally bearish option trading strategy that has two forms: cash secured and naked. Selling cash secured puts means that a trader holds enough cash to have the underlying asset “put” to them. Selling naked puts involves trading on margin where the trader doesn’t have available funds to secure the short puts. Therefore, naked (or uncovered) short puts have an inherently high amount of leverage. 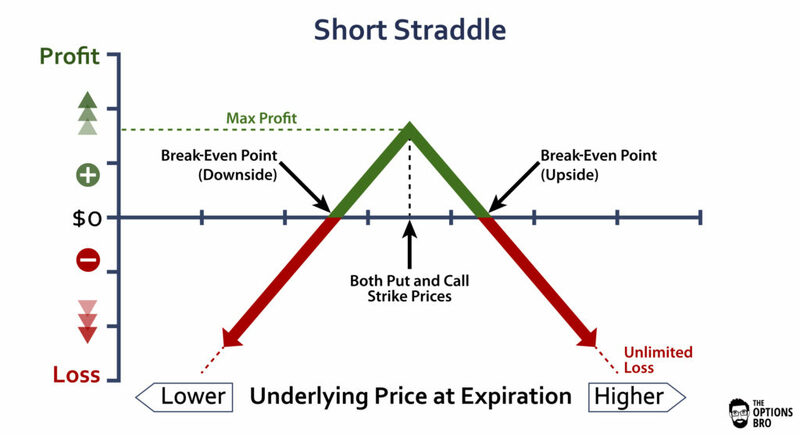 The short put option strategy is popular due to the inherent probabilities of options. Options that are far-out-of-the-money have a higher probability of expiring worthless. Many professional investors like Warren Buffett and *unfortunately* Victor Niederhoffer have been big proponents of the short put option strategy. If managed properly, short puts can be a very useful options trading strategy to generate income from theta decay and possibly acquire the underlying asset at lower prices. Out of every online broker with 24/7 customer service in 2018, Ally Invest the has the lowest commissions to trade the short put strategy as well as the best free options trading software. Read the Ally Invest Review. Note: like most options strategies, you can sell puts in-the-money (ITM), at-the-money (ATM), or out-of-the-money (OTM). 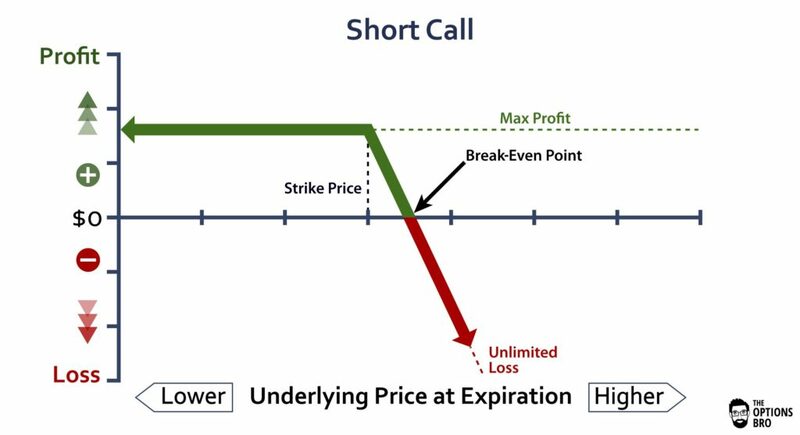 Although the max loss is indeed limited, losses with short puts can mount rapidly due to expansions in volatility and sell-offs in the underlying. In the example above, the max profit is $30 ($0.30 per contract). In this example, the max loss is $4,770.00. This would be the absolute worst-case scenario. Although it’s very rare, stocks occasionally do go to zero. This is a pretty unfavorable profit-loss ratio. So what’s the catch? Well, in exchange for this high potential loss, short puts have an inherently high probability of deprecating and ultimately expiring out-of-the-money and ending up worthless. 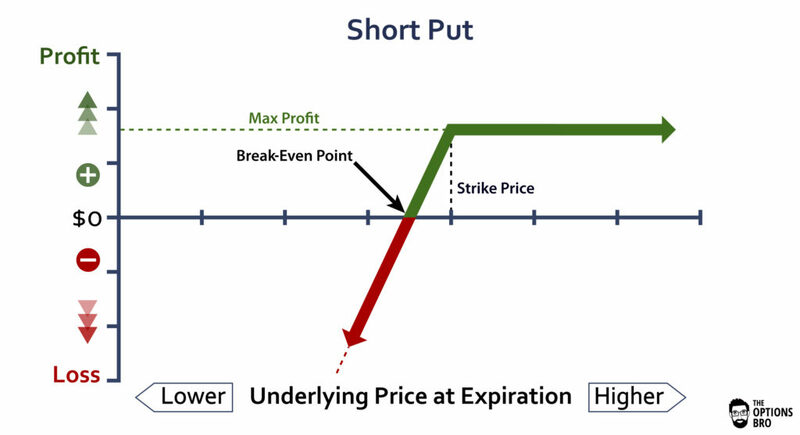 The breakeven point for a short put = premium received subtracted from the put option strike price. In the example at the top of this page, the breakeven point for stock XYZ would be $47.70. In other words, since XYZ is trading at $50, it has to decline $2.30 before the trade becomes unprofitable. It is important to note that this is the break-even point at expiration. Stock XYZ can decline $2.30 at anytime before expiration and the short put will not necessarily break even. The short put option strategy is a fascinating options trading strategy that is particularly popular among professional investors. Why? Primarily because of the probabilities of options. Puts that are very far out-of-the-money have a low delta. Therefore, far OTM puts don’t dramatically change in price without dramatic downward moves in the underlying asset. Furthermore, far OTM puts only pay the buyer if the underlying asset declines dramatically prior to expiration. Many investors want (and sometimes need) to have protection against dramatic declines in a particular instrument. Other traders are willing to take this bet and sell these puts. If the underlying asset doesn’t decline, and/or if volatility contracts, it’s fairly easy to make money selling overpriced puts. Plus, the short put option strategy makes money if the underlying asset stays the same, increases, or minimally decreases. Other traders sell put options not only to collect the premium, but to also potentially acquire the underlying asset at a lower price. This strategy of going long is only possible with cash-secured short puts, not naked. In the example above, if you wanted to by XYZ stock at $48, even though it is currently trading at $50, we could sell a $48 put for $0.30. If the stock isn’t below $48 at expiration, you keep the $30 in premium. If it is at or below $48 at expiration, you will be put 100 shares of XYZ at $48 and still keep the premium. Our breakeven for this short put trade is $47.70 because this is the strike price of the short put minus the credit received. This is a common approach among institutions looking to accumulate stock. Because short puts can be sold both naked and covered, margin requirements for placing the trade will vary. In the example above, to sell 1 covered $48 put of XYZ stock, you would need roughly $4,770 in buying power; this is the max loss for the trade. For naked short puts, the margin requirement is typically 20% of the price of the underlying asset. If you want to sell puts naked (i.e. uncovered options), then you would be using additional leverage. This is where some traders (like Victor Niederhoffer) run into trouble. With that same $4,800 in buying power, with a naked options position, you could sell typically sell 5 puts. The margin requirements for short puts depend on your options broker as well as the underlying asset. Futures options in the US work under SPAN margin, so requirements to write options are typically less than they are for equities. If you have a portfolio margin account, the requirements for uncovered equity options and futures options will more or less be the same. Theta decay for a short puts is extremely favorable. Because puts tend to trade richer than calls due to the possibility of a “crash,” puts are often quite expensive. And because puts are expensive, option sellers take advantage of the high level of theta decay. Everyday, premium will be systematically priced out of the puts, and the seller of a put option will collect this premium. It’s worth noting, however, that the algorithms that price and trade options are fully aware of an option’s premium decay. Suffice it to say that theta decay is not necessarily an “edge” in trading. Nevertheless, entire hedge funds and individual traders have built their trading careers around selling naked puts and managing to dodge volatility explosions and market crashes. Basically, traders like selling puts because it works a lot of the time. It’s just that on the rare occasion when it doesn’t work, it can go VERY bad VERY quick. When Should I close out a Short Put? If a short put has reached its max profit, it is always wise to close it out. The only exception would be a short put that is significantly OTM with a brief amount of time until expiration. By leaving the short put on, you could potentially save on commissions. For short puts that are unprofitable, it is possible to continue to roll the position until volatility contracts or the price of the underlying asset goes up. Yes. If short puts expire OTM, there is nothing that needs to be done. Often times traders do not want to take unnecessary expiration risk, so they close out worthless short puts prior to expiration. This is the case for options that settle after they expire, like some series of SPX options. 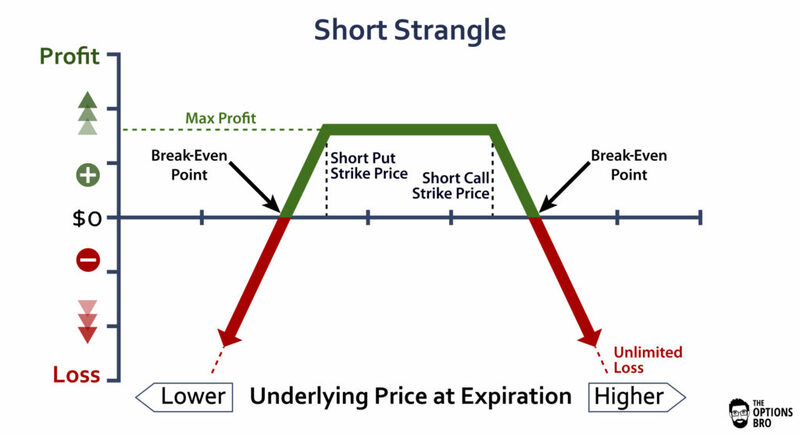 If a short put is in the money at expiration, and past the break-even point, it will be a losing trade. If this happens, an assignment risk exists. An assignment risk technically exists any time a short put is in-the-money on a US stock, although it’s very uncommon for short puts to be assigned prior to expiration unless they are deep ITM. If a trader does not have enough money to acquire the underlying asset at the strike price of the short put, i.e. 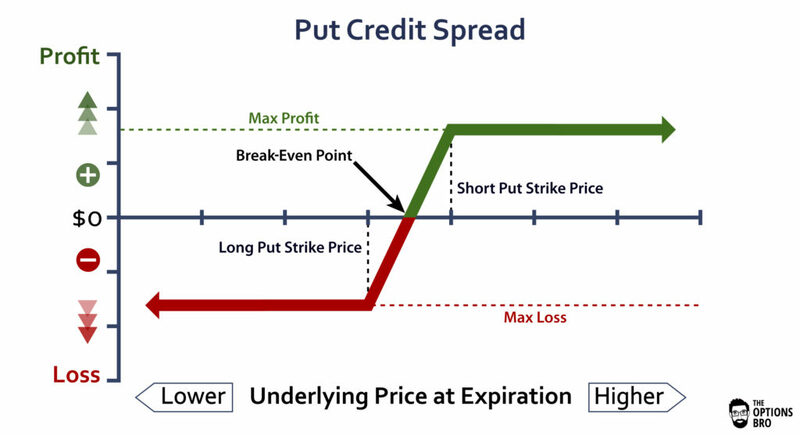 an uncovered put option position, a margin call will be issued after expiration. Typically options brokers notify their clients if a short options position is going to have a negative margin impact. If the trader has enough money to acquire the underlying at the short put strike price, the appropriate number of shares or futures contracts will be assigned to the account. To the surprise of many, short puts (whether naked or covered) resemble a significant portion of professional trader’s portfolios. This is primarily because selling puts is a fantastic way to collect option premium and possibly accumulate more of an underlying asset at lower a lower price. Additionally, short puts are also a popular way to express a bearish outlook on volatility itself. When volatility decreases, the value of puts decrease as well. However, the flipside to that coin is that short puts are sensitive to volatility increases. This is because volatility (as discussed in the beginner’s guide to options) is a major component in an option’s price. If volatility dramatically increases, a short put position will exponentially increase in value leaving the put writer holding the bag. Ally Invest is the cheapest broker for selling put options. Up to $3,500 cash bonus + commission free trades for new accounts.